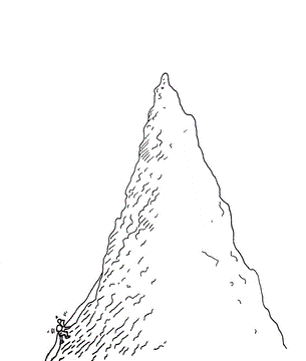 Let me explain with the help of a mountain why testing just one change is not a split test best practice. Imagine you are visiting a range of mountains and want to reach the highest point. The logic is easy, search for a route whereby you always move upwards. Each step is a test and the winning test is when the step takes you higher. 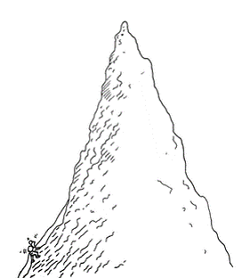 We’ll find the highest point (optimal email) by successively testing until reaching the summit. Now imagine when you get to the top you finally notice that there are several mountains and the highest mountain was not the one you started climbing. You reached the highest point on the wrong mountain. 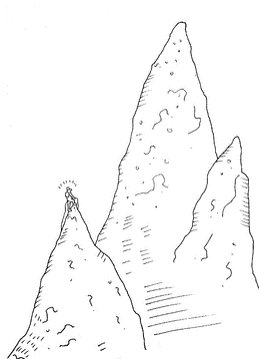 If only you’d visited a few mountains before deciding which to climb. You optimised performance, but optimised a sub-optimal concept. A good example, with the winner getting a conversion rate increase of 181% is a design test from Meclabs. Look at the large number of differences between the two designs. There are numerous changes between the A/B split test control and test treatment. Imagine if changes had been made one at a time. Its hard to see how to get from the control to the winning treatment one change at time. Individually made changes might even have been rejected. 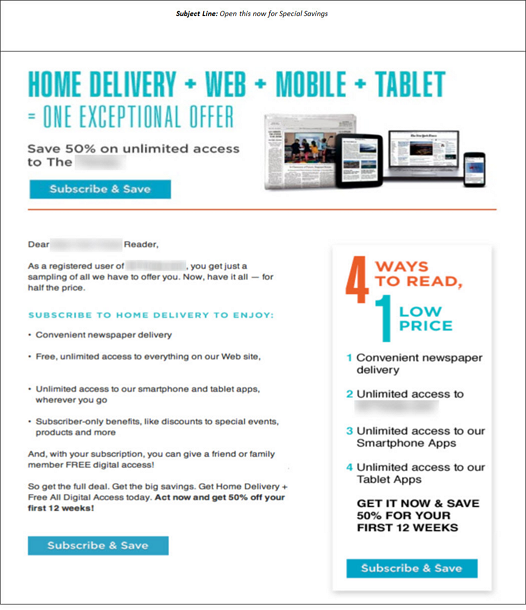 Had the winning email subject line, “Get unlimited access to [product] with home delivery” been split tested using the control email design, it would likely have failed because it’s not consistent with the control email headline and body. The uplift comes from many changes working together, from the overall concept change. What about multivariant split tests? Multivariant split tests allow several changes to be made at once and all combinations to tested. This gives some of the benefits of A/B split testing as the impact of each individual change is measure. Though in most cases the tests are still constrained by the original concept and it’s more like A/B split testing on steroids than testing new concepts. This doesn’t make split testing only one change wrong. 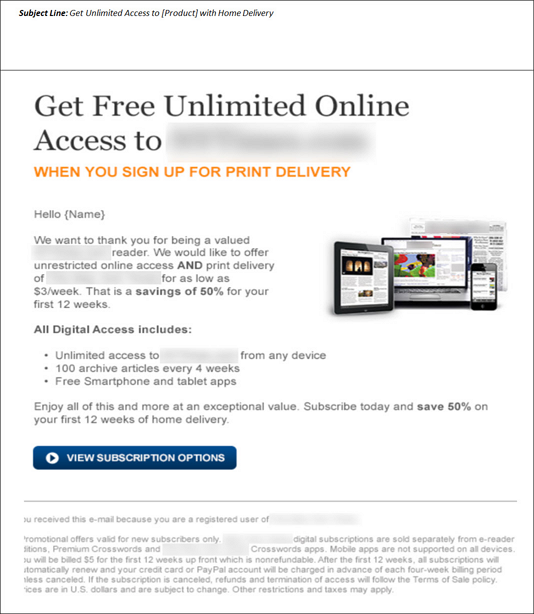 Just don’t be a slave to a so-called email best practice. Changing lots of things is like a revolution whereas changing one thing is an evolution. Both approaches to improving email performance are useful. Revolutionary makes many changes and may change the whole basis of the concept. Being a revolutionary split tester can save time over making one change at a time. Albeit with less clarity. There is a trade-off between determining the power of individual elements vs the time taking to make your boss happy and increase revenue. Ultimately email split testing is limited by the effort needed to test and the amount of data available for split test sample cells. Next time you’re creating an email test, don’t be afraid to re-think from a blank sheet. But remember, the one email split test best practice not to ignore is to check any test results for statistical significance using a calculator.